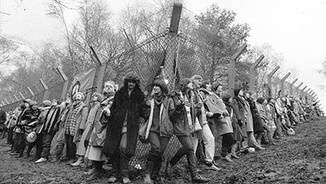 From the first arrivals Women for Life on Earth in 1981 to the thirty thousand women who formed a human chain to Aldermaston in 1983, the Greenham Common Peace Camp is a shining example of non-violent feminist action, changing both lives and laws. “The women of Greenham Common taught a generation how to protest,” noted Beeban Kidron, who made her first film living on-site, and feminist filmmakers such as Caroline Goldie and Tina Keane documented this radical utopia. Club des Femmes bring back Greenham for one weekend with films, feminism and activism, as together we remember and revive Greenham’s legacy. Beeban Kidron’s body of film and television work is intrepid, unpredictable and all the more remarkable for it. From her television adaption of Jeannette Winterson’s autobiography Oranges Are Not The Only Fruit (1990) to taking on the quintessential chick lit flick Brigit Jones: The Edge of Reason (2004) up to the more recent teens and Internet documentary InRealLife (2013), her intellectual, political and cinematic curiosity is unstoppable. Yet it is her rarely screened National Film and Television School graduation film Carry Greenham Home that we happily revisit and reaffirm as a feminist film classic. Kidron and her collaborator Amanda Richardson lived at the Women’s Peace Camp for more than seven months. The camp aimed to prevent the sitting of atomic cruise missiles at a US airbase located at Greenham Common in Berkshire. Shot almost entirely on video, the film’s depiction of the women involved in the peace movement contrasts greatly with mainstream media portraits of the time and the subsequent collective memory. In 1929 Nell Logan took part in a youth peace conference in Moscow. 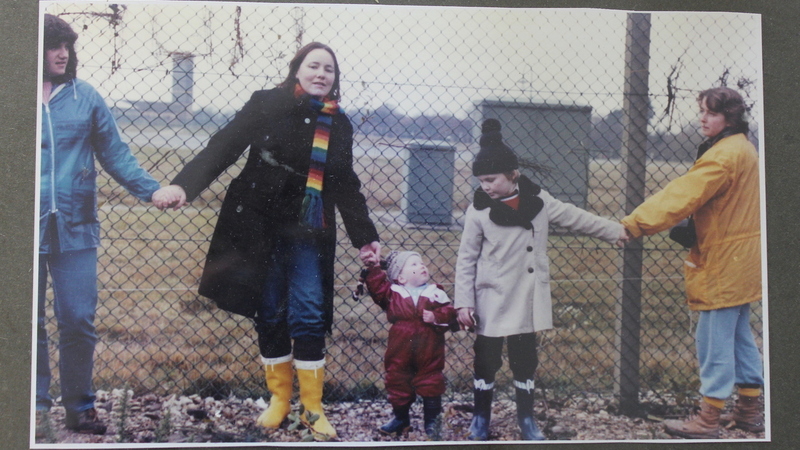 More than 50 years later she was among the women fighting against Cruise missiles at Greenham Common. Caroline Goldie’s tender film portrait of Nell Logan shows her Greenham activities in the context of a life-long struggle by interweaving scenes from Nell's life in the mid 80s with absorbing archive material reflecting her past and half a century’s commitment to political activism. 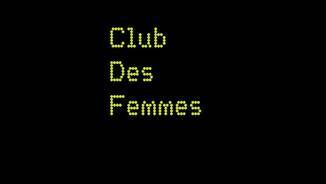 Club des Femmes take over the Rio’s basement for one day only. Join us as together we create a 21st century feminist activists’ handbook in the spirit of Greenham. 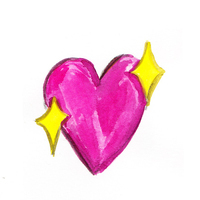 We will publishing a full schedule of events very soon. Highlights include ‘Bringing Greenham Home’ art, archive & sound installation, The Time Is Now: zine making workshop delivered by Ione Gamble (Polyester Zine), an activists workshop, Greenham shorts programme including Tina Keane’s In Our Hands Greenham (1984), Lucy Reynold’s Silo Walk (2008-2010) + performance & Sarah Wood’s Three-Minute warning (2012) & discussion with filmmakers, Activist Handbook Live Drawings by Lisa Gornick and more.